We have in the new release scheduled for February 25th, between 06.00 and 08.00 AM CET, added support for PIN code entry (DTMF) when calling from the recorder to a video conference system. The typical use case is to authenticate the recorder when calling into a Virtual Meeting Room enabled with PIN code. 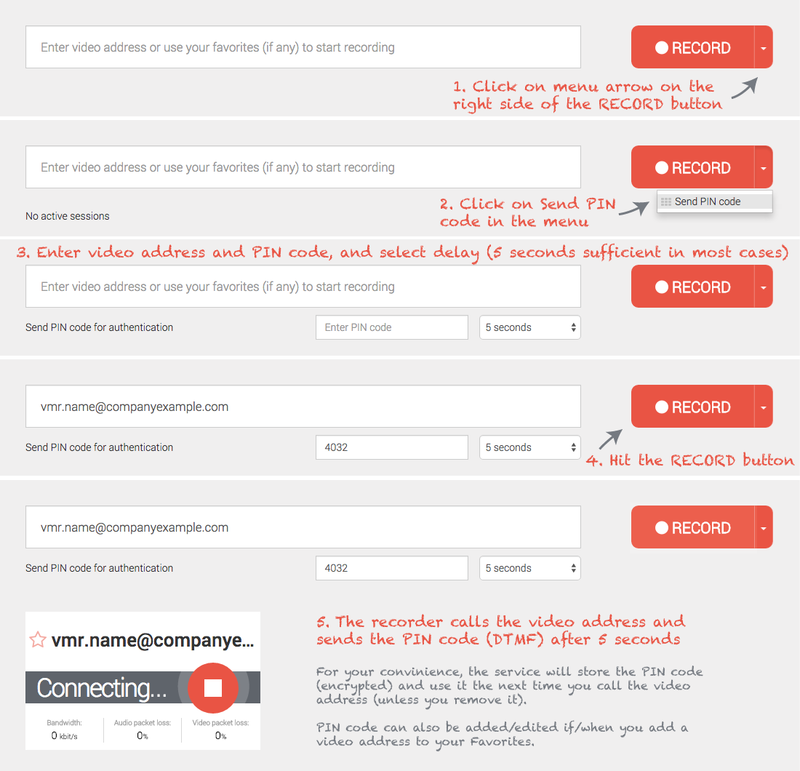 The following screenshot illustrates the few steps needed to submit PIN code when calling from the recorder. Please contact support@rec.vc in case you have any question about this new feature.